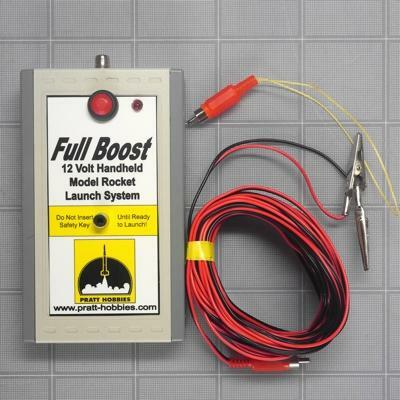 The FullBoost Handheld Launch System is a completely self-contained 12 volt launch system that includes its own batteries, so it's ready to go out of the box. 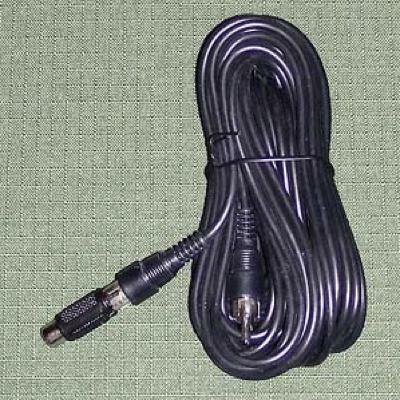 The audible continuity circuit will not set off a flashbulb or a sensitive igniter like an electric match. 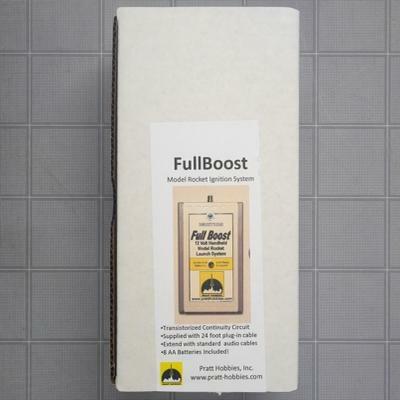 A solid 12 volts is provided by the internal pack of 8 AA Alkaline batteries. They are easily and cheaply replaced when they run down.